Pinky Lalwani is a former air hostess who is best known for being the girlfriend of liquor baron Vijay Mallya. They have been dating for few years now and have recently celebrated the third year anniversary of their relationship. The duo likely to enter into wedlock soon. Unfortunately, she hasn’t disclosed anything about her personal and family details to tabloids, and thus, we are uncertain about her personal information like date of birth, age, birth place and more. 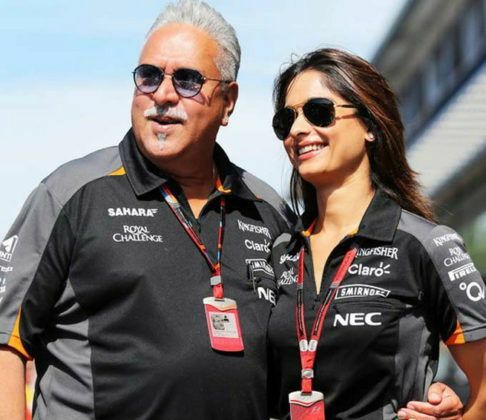 Pinky Lalwani has been dating Indian businessman Vijay Mallya from 2015. She met him when she was hired as an air hostess for Kingfisher Airlines. Lalwani is apparently much younger to the 62-year-old Mallya. She hasn’t revealed about her net worth. Lalwani previously worked as an air hostess for Kingfisher Airlines in 2011. She was spotted several times accompanying Mallya on his trips to a London court where his extradition case is being heard, Indian Express reported. Pinky also apparently shares good relations with Mallya’s family and the couple is often spotted together at public events. She lives together with Vijay Mallya at his mansion in Hertfordshire, which is about an hour and a half from London. Vijay Mallya is wanted by India on charges of fraud and money laundering amounting to around Rs 9,000 crores.